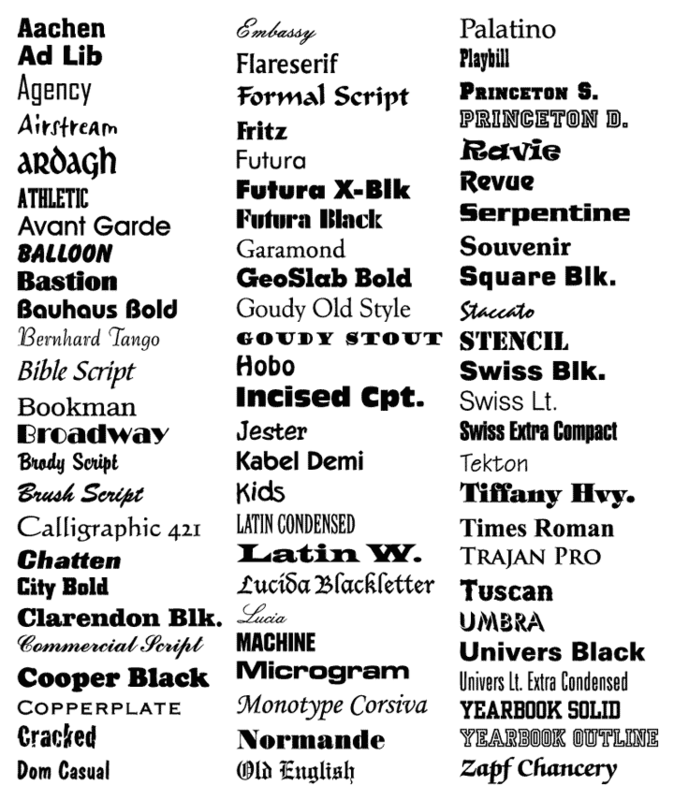 This chart shows a few of the thousands of different fonts we have available for your designs. If you want a font that you don't see here, please ask for it, or you can e-mail it to us to use if it is legal for you to do so. Please note that some fonts with fine lines, such as formal script fonts, may not be printable at small sizes such as on a left chest. We can outline most fonts, but certain fonts don't look good with an outline, especially fonts with thin lines or fonts with "built-in" outlines. My Fonts: high-quality free and commercial fonts. The League of Movable Type: High-quality open-source fonts. Da Font: Thousands of free fonts, sorted into categories.